Gyeokpo Beach itself is beautiful. 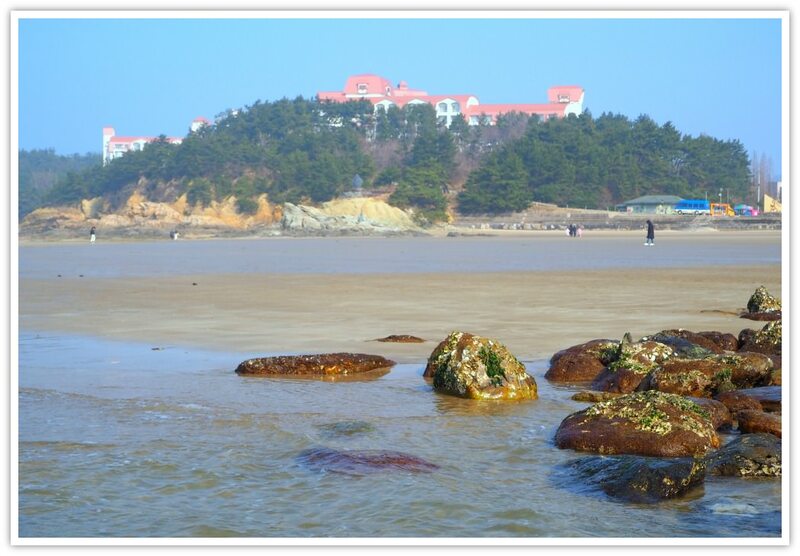 And it is surrounded by beautiful sites as it is located within Byeonsanbando’s most interesting area—the West Coast. 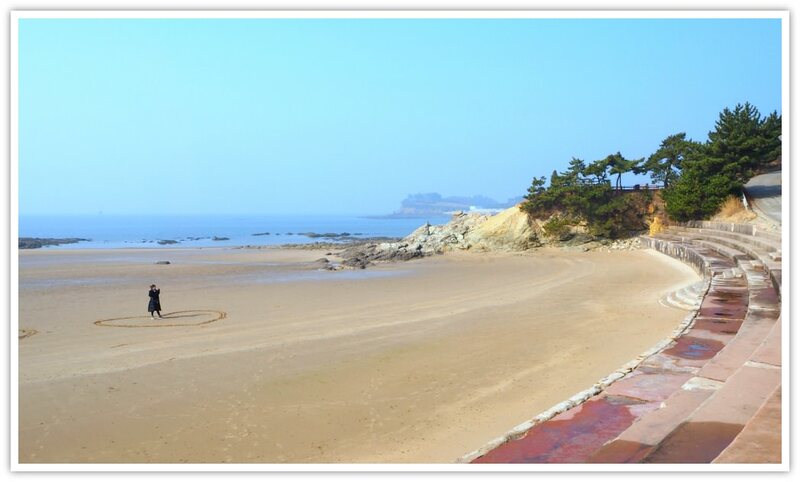 Gyeokpo Beach is located in Gyeokpo-ro, Buan-gun (country), Jeolla-bukdo (province), Republic of Korea. 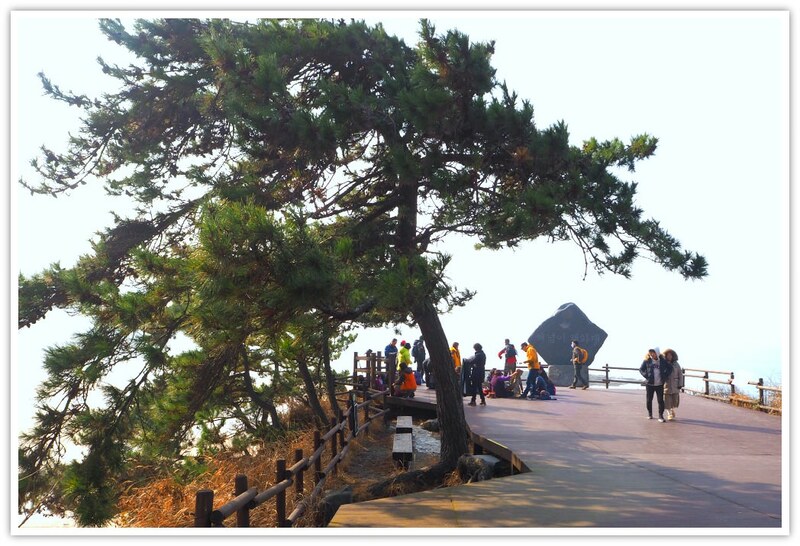 It forms part of the famous Byeonsanbando National Park (a national park known to be the only one with both the mountains/land and sea areas). 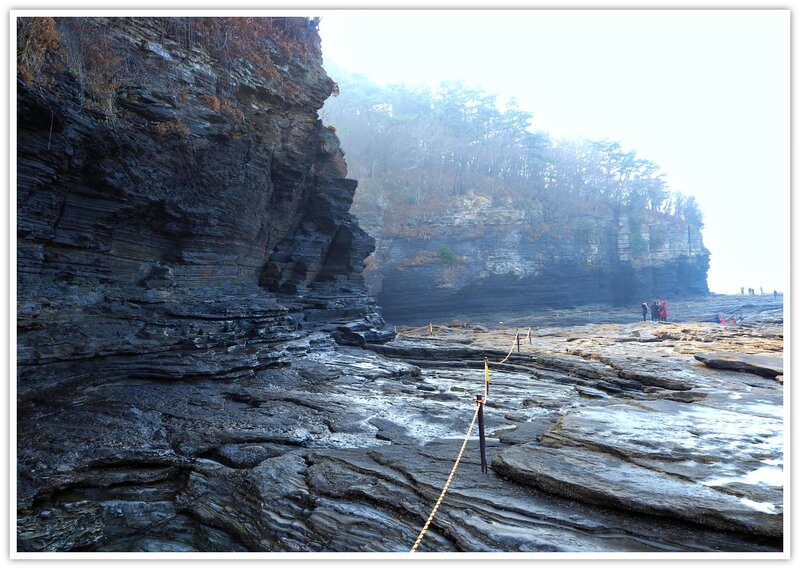 The beach is beside the famous geological site (geosite) called Chaeseokgang Cliffs. This site is composed of ancient rock formations that attract tourists. 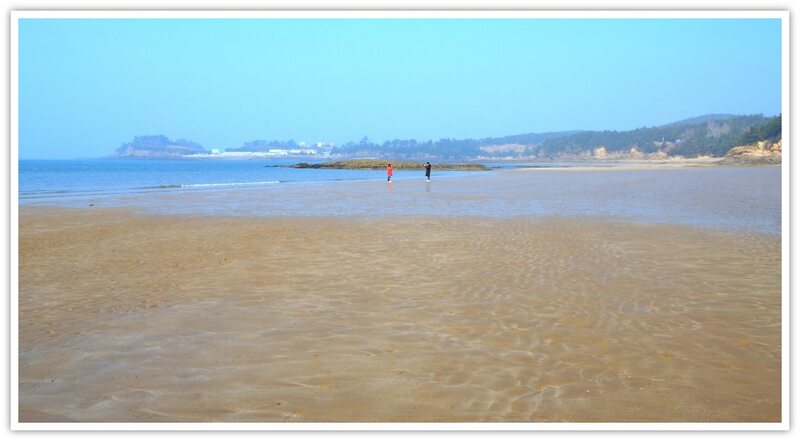 As I saw and strolled on it, the beach is wide, clean, and peaceful (because it was not the season, too cold for swimming—winter!). As you can see, the beach has no summer holiday decorations. It means that it is what it is—the pretty and wide beach. I do not doubt recommending this beach for all guests of various ages. The water looks so calm and so it will be safe for small children to play. The sand is soft and no rocks. Small kids can plan safely inside the sandy area. But adults should watch and tell them not to go to the rocky area, beyond the sandy areas. Of course, the beach is also recommendable for your older members in the family. Walking on the sand, or in the hiking course, will surely help grandpas and grandmas feel better. There are no hills nearby, except for the Dakibong Peak Observatory (which is, by the way, an easy walk for all ages). You will have anything you would need while at this beach. No worries! Sea-viewing steps/area. You can rest and watch the sea from this area. It also serves as a barrier protecting the land from eroding into the sea. Parasols. I believe these are installed during the summertime. Not for free! Hiking Courses & Trails. The beach is located along the hiking courses on the West Coast. If you decide to walk a few kilometers while in the area, this is where you can start. You can choose from any of the two (opposite directions). You will see more description at this beach the hiking courses with specific descriptions including names of areas and distances. Accommodation. There are motels, hotels, condos, and minbaks (family house rooms authorized by the local government for renting). Parking Area. Yes, there is a parking area near the beach. It is not for free, but rates are not that expensive anyway. Byeonsanbando National Park Service Center. You can get more information not only about this beach but also all about the national park itself. They have some digital and media information. Displays about sea creatures (dead and alive) can also be seen inside the building. If you want to, you can go to the viewing floor to watch the panoramic vistas of the beach and the amazing surrounding. If you love seafood, then you are in the right place. 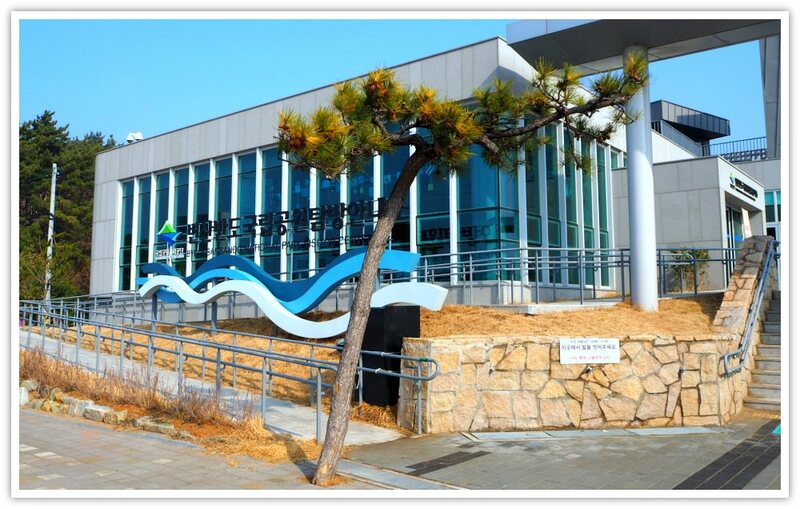 Gyeokpo beach is close to the popular Gyeokpo Port where all fresh seafood is delivered. The port, which is a walking distance from the beach, has restaurants that serve special dishes: cooked and raw. Also, some restaurants are located much closer to the beach, by the roadside. These restaurants serve seafood dishes and other non-seafood dishes for those who have allergies (of seafood—pity!). As I hinted, there are other restaurants that serve other dishes aside from seafood dishes. Many of these restaurants are around Gyeokpo-ri Bus Terminal. 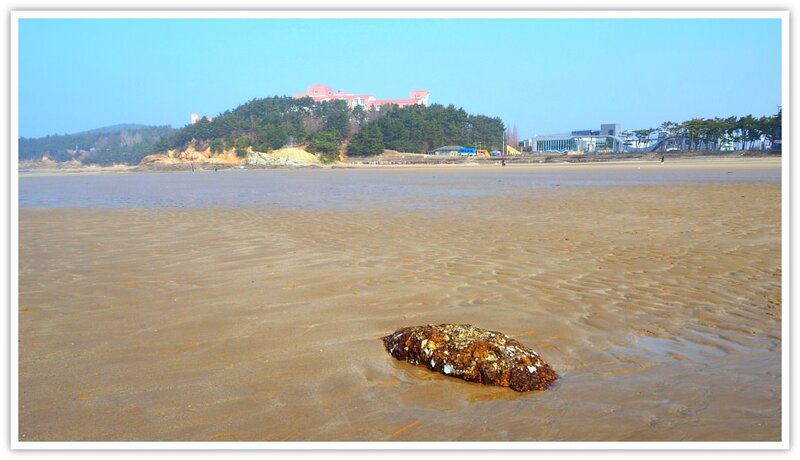 It is just a few minute-walk from Gyeokpo Beach. Let me tell you—I tried their ‘Yukgyejang’ (hot and spicy soup with veggies and some meat). It was superb! She served more side dishes—six of them. In Seoul, they serve less! That’s the difference that you will starkly notice when in the province. Walking around Gyeokpo while looking for my dinner, I noticed places that serve pizzas, chicken, and fusion foods. Of course, they also serve drinks of your choice! If you are with a group of friends or a family, you can easily find hofs (beer houses) or restaurants that serve both food and hard drinks and beverages. And I would not be surprised to see dozens of such stores lined up selling all sorts of food for quick bites during the summer season. So, there’s no need to worry about food when at Gyeokpo Beach. By the way, you are allowed to bring your own supplies or buy them from the convenient stores or markets in the area. Most of the hotels, motels, condos, pensions, and minbaks (family house’ room-for-rent) are near Gyeokpo Bus Terminal. This area is just a walking distance (more than a kilometer) from the beach area. Close to the beach, you will see a few pension houses that accept guests. As you know, the closer the hotel to the beach the more expensive and in demand it will be. Now, if you want to know how to get there, please allow me to guide you. By the way, this is how I got to the place. Just to assure you that you won’t get lost. And you’ll save time. Perfect beach for summertime fun! Get to Buan-gun (county) Bus Terminal area. If you are coming from Seoul, head to any of Seoul’s express bus terminal. In Incheon, there is Incheon Integrated Bus Terminal, which is also located at the Incheon Bus Terminal subway station (Incheon Subway Line). From Buan Bus Terminal, look for a bus stop that travels to Gyeokpo-ri. The bus is colored ‘yellow.’ Inform the driver that you are getting off at Gyeokpo Bus Terminal. (Note: you can pay in cash (1000 Won) or use your transport card when taking this bus). Get off at Gyeokpo-ri Bus Terminal (small terminal but you won’t see a bus there) then ask for Gyeokpo Beach’s direction. It is a walking distance. If you want, you can use the Dakibong Peak (hexagonal structure on top of a hill) as your compass. Go towards its left direction, and you will surely find the beach. Thanks for visiting this page. Hope you find this useful. If it does, please share with friends.